"Your Band Is A Virus! 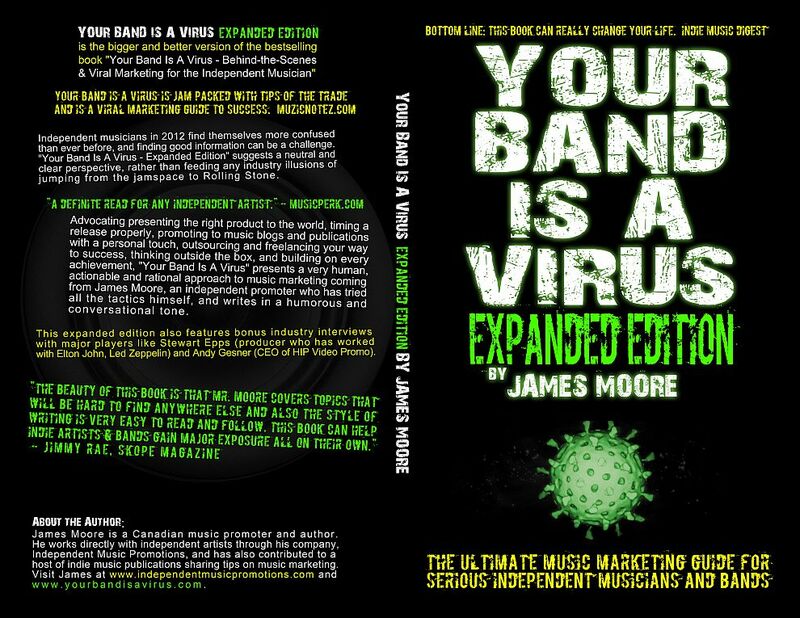 Expanded Edition" is the bigger and better version of the best selling music marketing book "Your Band Is A Virus - Behind-the-Scenes & Viral Marketing for the Independent Musician". At double the size of it's predecessor, it is the ultimate music marketing book for serious independent musicians. "Your Band Is A Virus" presents an inspired approach to DIY music marketing coming from James Moore, founder of Independent Music Promotions. "The intention of the book is to completely wipe out many of the misconceptions musicians have when it comes to music marketing. I'm a music promoter. This book wasn't written by an entertainment lawyer or a label CEO. I'm DIY and I write about what has worked for me, and many of the ideas I'm happy to say just don't get talked about anywhere else. It's all straight talk and actionable advice. Musicians have the most trouble and confusion about generating press, so that's what I focus on. There's a lot of misinformation out there, so I hope this book inspires and brings clarity to artists" says Moore. NEW! 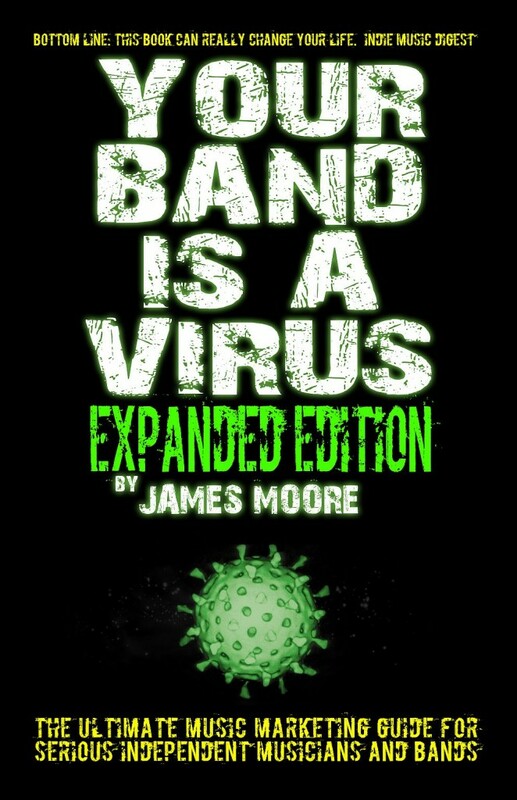 FOR THOSE WHO DO NOT HAVE AMAZON'S KINDLE, BUY THE "YOUR BAND IS A VIRUS" PDF DIRECTLY FROM JAMES! CLICK HERE TO PURCHASE. Visit www.amazon.com now to get your copy!